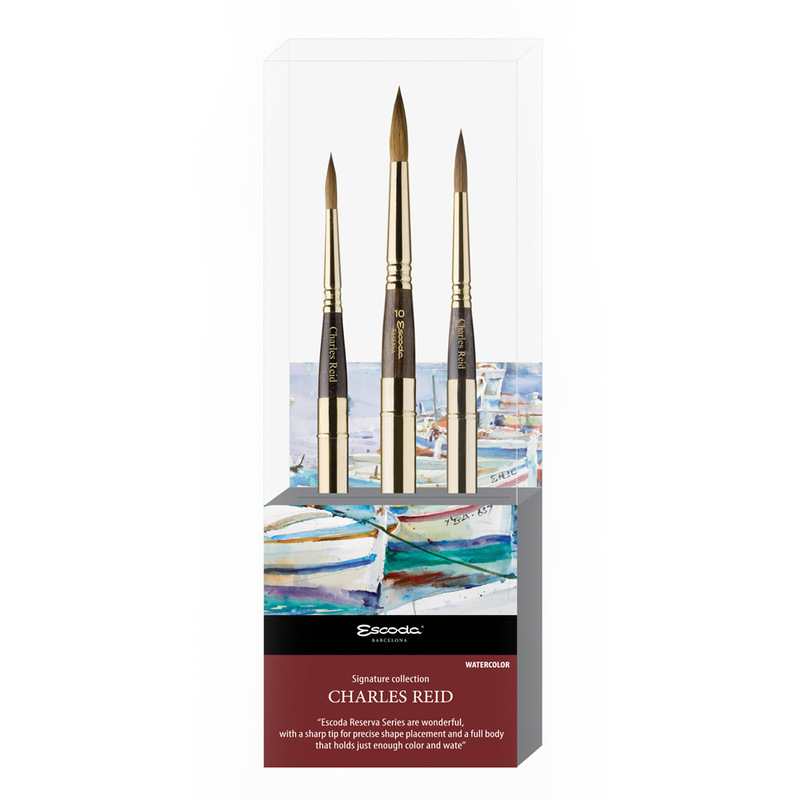 "Escoda Reserva Series are wonderful, with a sharp tip for precise shape placement and a full body that holds just enough colour and water"
Charls Reid is an artist, teacher and author known around the world. His use of beautiful clean colour and his capture of light create a look of freshness and spontaneity that immediately grab the senses and draw you into his work. He has authored eleven books on painting directed towards students at all levels. His drawing skills are masterful. This set contains the series RESERVA "travel brush" made with the finest Kolinsky sable hair. 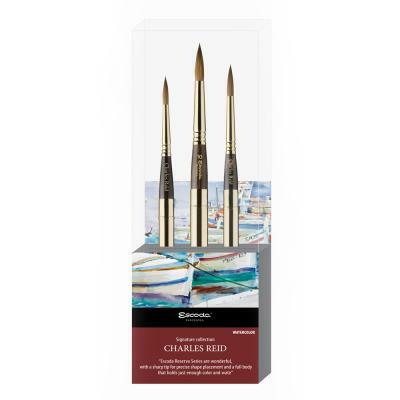 This series is the artist's first choice when painting in watercolour. Although Reid uses all sizes on his masterpieces, the set is made up of the sizes he recommends most - 6, 8 and 10.